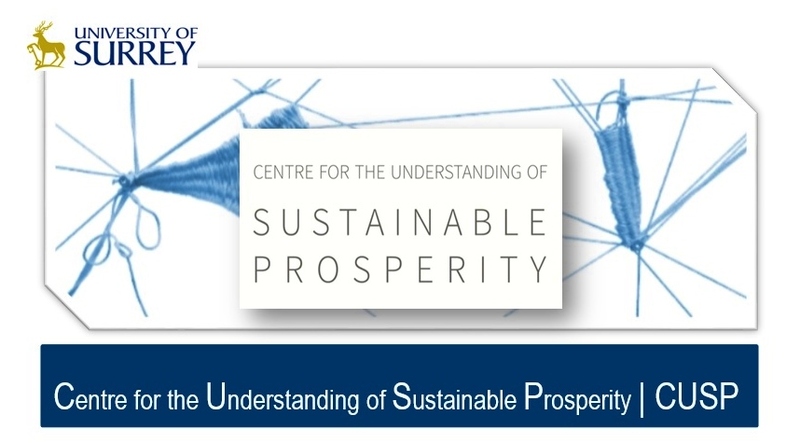 The University of Surrey has received a £6m research grant from the Economic and Social Research Council (ESRC) to establish a multi-disciplinary international research centre, called ‘The Centre for the Understanding of Sustainable Prosperity’ (CUSP). Among this Centre’s other academic partners are five UK universities (Anglia Ruskin, Keele, Goldsmiths College London, Leeds and Middlesex) and two universities from Canada (York) and New Zealand (Canterbury). Led by Professor Tim Jackson and working in collaboration with a variety of academic and non-academic partners, CUSP will launch a five-year multidisciplinary research programme in January 2016. Thus, CUSP will explore not just the economic aspects of sustainable prosperity, but also its social, political and philosophical dimensions. It will address the implications of sustainable prosperity at the level of households and firms and will explore sector-level and macro-economic implications of different pathways to prosperity. It will pay particular attention to the pragmatic steps that enterprise, government and civil society should take in order to achieve a sustainable prosperity. • Theme M explores the moral framing and contested meanings of prosperity itself. • Theme P addresses the politics of sustainable prosperity and explores the institutional shifts that will be needed to achieve it. • Theme S1 explores the social and psychological dimensions of prosperity. • Theme S2 examines the complex dynamics of social and economic systems on which sustainable prosperity depends. Spanning numerous academic disciplines, the Centre will take the form of an international network, drawing together expert partners from academic and non-academic institutions as co-producers of the work programme. 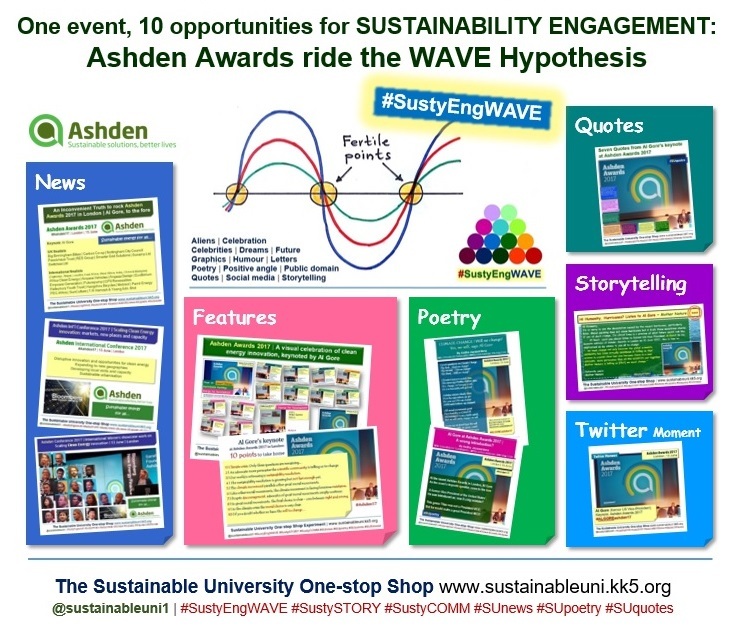 Among CUSP’s non-academic partners are the Aldersgate Group and the UN Environment Programme (UNEP). The Aldersgate Group, an alliance of leaders from business, politics and society that drives action for a sustainable economy, will formally be co-investigators on the project, establishing a vital link to industry and policy. As part of Theme S1, CUSP will engage with UNEP in a major study of young people’s lifestyles across the world. Other partnerships include a wide range of business and cultural organisations. This collaboration will be widened further through an international network of CUSP Fellows hailing from a variety of academic and non-academic institutions. As part of its exploration of practical actions and proposition of supportive policies, CUSP will engage with business, government and civil society. In order to engage a wide-range of stakeholders in debate and foster practical innovations in pursuit of sustainable prosperity, the Centre will develop an international Sustainable Prosperity Dialogue, to be chaired by Dr Rowan Williams, former Archbishop of Canterbury and Master of Magdalene College, Cambridge. Three BIG business leaders, one BIG concern | Can they all be wrong? How does Civilisation get to the 22nd century without collapse or catastrophic discontinuity? 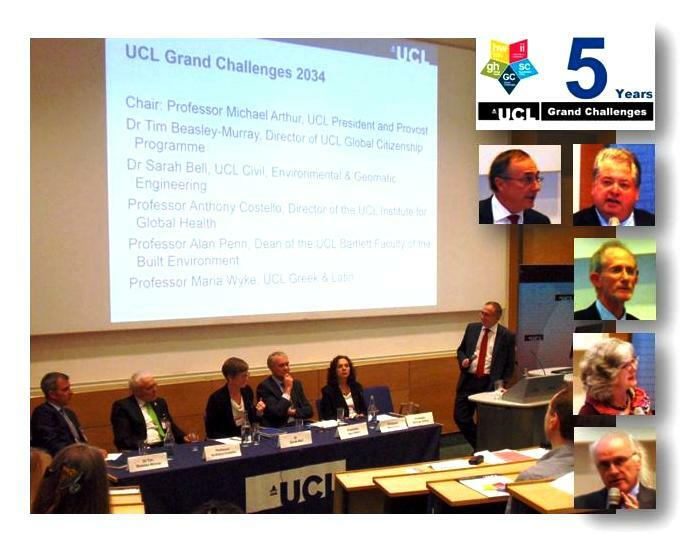 asked Professor David Price in his welcome address at the fifth anniversary celebration of UCL Grand Challenges (UCL GC) programme held on 13 October 2014. Reflecting and building upon the personal and institutional experiences gained over the last five years, this celebratory evening defined the actions needed to strengthen, enhance and enable further cross-disciplinary engagement within and beyond the university, for the benefit of the wider society. In his welcome Professor David Price (UCL Vice-Provost, Research), who leads the UCL GC programme, emphasised that a cross disciplinary approach is necessary to find solutions to the world’s complex problems because no single discipline is capable of solving these on their own. After a short film on the GC programme, Dr Ian Scott (Principal Facilitator UCL GC) presented how the programme was developed to what it is today, and Professor Yvonne Rydin (Chair of Planning, Environment and Public Policy, UCL Bartlett School of Planning) and Professor Nick Tyler (Chadwick Chair of Civil Engineering, UCL Civil, Environmental and Geomatic Engineering) presented reflections on the programme. They all elaborated how the GC programme advances cross–disciplinary research across the institution. Among other things, the panellists were asked to present their ‘manifesto’ for the future of Grand Challenges and this resulted in a variety of responses, including co-existence; cultural identity and conflict; women’s rights; development and voice; meeting basic needs; and disease and antibiotic resistance. The evening came to a close with a drinks reception. 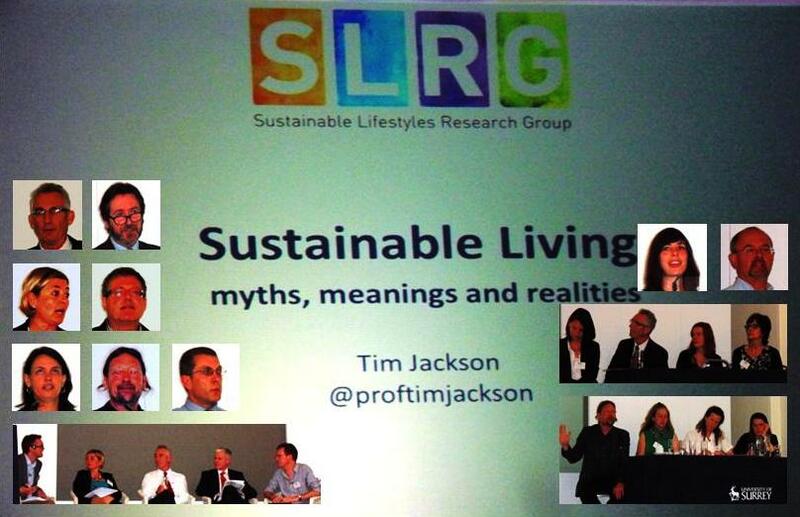 Good life of the good person is only possible in a good society, said Professor Tim Jackson at the Sustainable Lifestyles Research Group (SLRG) dissemination conference on ‘Sustainable Living: myths, meanings and realities’ held in London on 3 June 2014. 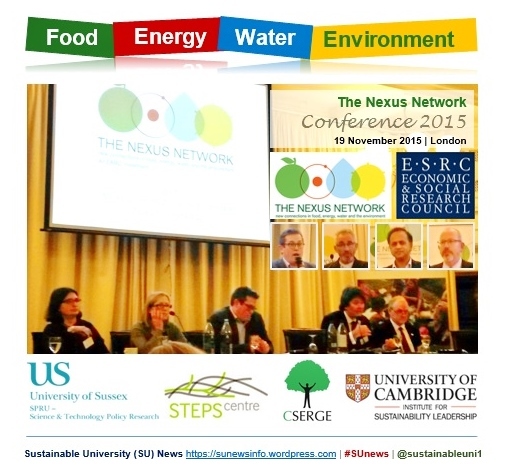 Building on over a decade of research, the conference synthesised the lessons from the group’s work on developing new understandings of the processes which lead to changes in people’s lifestyles, behaviours and practices and offered evidence-based advice to policy-makers hoping to build and nurture more sustainable ways of living. The event kicked off with a welcome by Professor Tim Jackson (Director, SLRG). In her introduction, Zoe Donkin from Defra (Department for Environment, Food and Rural Affairs) identified the SLRG as an excellent model of government working in partnership with the academia. Professor Bas Verplanken (Professor of Social Psychology, University of Bath) spoke on Habits, Attitudes and Behaviours in Transition (HABiT) project. Life course transitions such as moving to a new home could provide a window of opportunity for effective interventions for sustainable behaviour change. When this study delivered an intervention to a group of participants who had recently moved house, there was a small but statistically significant increase in self-reported sustainable behaviour with the window of opportunity lasting three months after moving house. Because of the small effect size, blank roll-outs are not recommended but locations in which many people going through life course transitions (e.g. newly built residential areas) tend to offer opportunities for such interventions. Dr Kate Burningham (Senior Lecturer in Sociology of the Environment, University of Surrey) spoke on Exploring Lifestyle Changes in Transition (ELiCiT) project. This study explored the effect of two household transitions – having a first child and retirement – on sustainable consumption. It found that life course transitions are a fluid process of continuing shifts and readjustments within which everyday practices undergo change in multiple ways. Interventions for sustainable living should account for the multiplicity and nature of household transitions and the significance of family relationships and concerns in informing what people do. The participants’ understandings of what constitutes a sustainable lifestyle were varied and not necessarily perceived as being related to environmental sustainability. Potential points of intervention include already existing information and support sources (e.g. parental support groups) and their own social networks and hubs. Professor Andy Stirling (Professor of Science and Technology Policy, University of Sussex) spoke on ‘Control and transformation in sustainable lifestyles’. Referring to the findings of the second (‘transition’) and third (‘resilience’) projects above, he focused on some general implications for thinking about policy making for transformative change in infrastructures and practices in order to achieve demanding sustainability goals in the food sector. 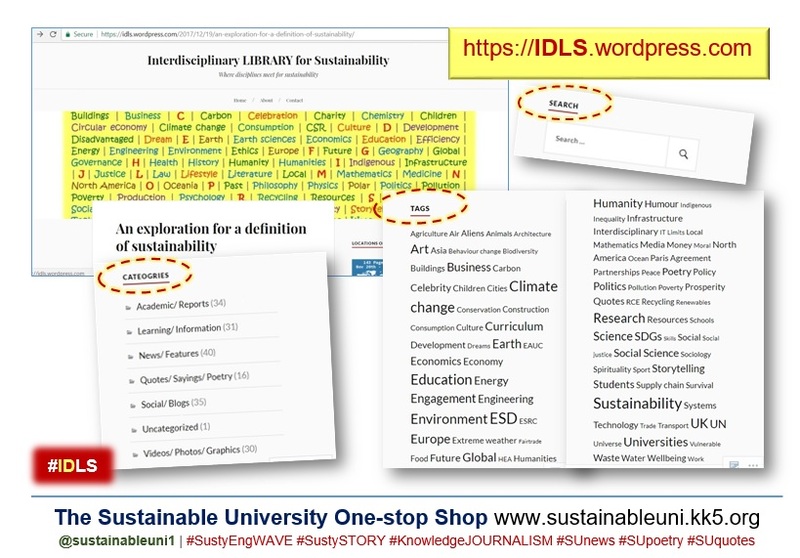 A cross-cutting outcome of these projects is the elaboration of a new framework for thinking (and acting) to enable transformation towards sustainability. 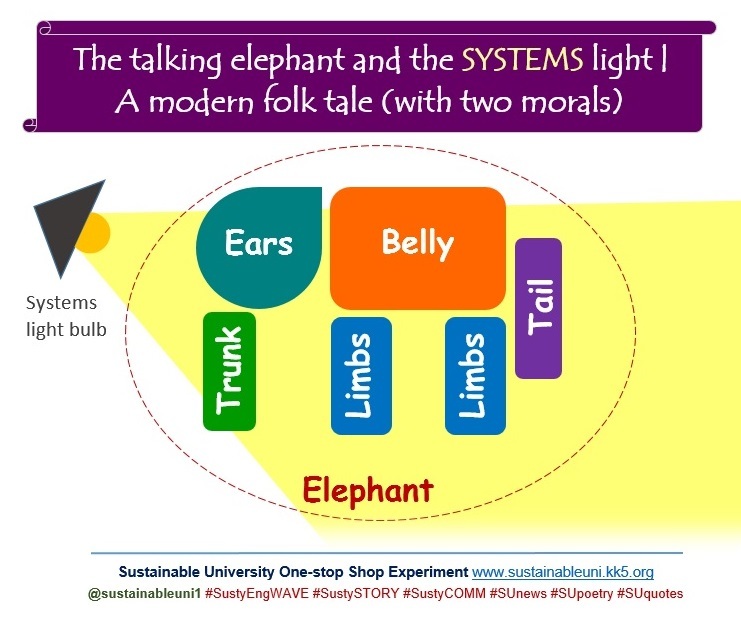 He presented a framework that summarises the relationships between four ‘necessary but insufficient’ properties of sustainability, as functions of different permutations of shock and stress, control and response. Invited guest speaker Dr Helga Dittmar (Reader in Psychology, University of Sussex) spoke on ‘The limits of materialism: impacts on wellbeing and the environment’, focusing on the link between materialistic value orientation (MVO) and wellbeing. MVO is the endorsement of values, goals and beliefs that centre on collecting money and possessions to convey status and image. There exists strong research evidence that people with stronger MVO experience lower wellbeing and show less environmentally friendly attitudes and behaviours and the same is true for children. Research also shows that materialism undermines children’s learning and school performance. Ian Christie (Research Coordinator, SLRG) spoke on ‘Policy dialogues in sustainable living’. In the context of growing interest among policy communities in policy evaluation and in the relationship between research-based evidence and the policy development process, this project has explored issues concerning the relationship between research and policy development, adopting a methodology based on in-depth interviews with expert informants. Reinforcing the message from the literature on research-policy interactions, the study found that there are no ‘golden threads’ from evidence to readily identifiable policy impacts within a clear cycle of policy development. Rather, the focus should be on the fields of influence for research and the importance of multiple contexts and uses of evidence. These factors need to be reflected in new approaches to research-policy dialogue and relationships. Dr Steve Sorrell (University of Sussex) spoke on ‘The rebound effect: measurement and response’. Professor Tim Jackson, speaking on ‘Sustainable living: myths, meanings and realities’, synthesised the day’s presentations. Led by Professor Jackson, a panel discussion on ‘Foundations for sustainable living’ followed with a panel comprising Dr Helga Dittmar, Mike Barry (Marks & Spencer), Lee Davies (Defra) and Graham Smith (University of Westminster). In closing remarks, Jonathan Tillson (Defra) focused on the strategic relationship between policymakers and researchers, highlighting the key benefits of the Research Group approach, namely linking research to policy thinking, strategic investment and impact generation. 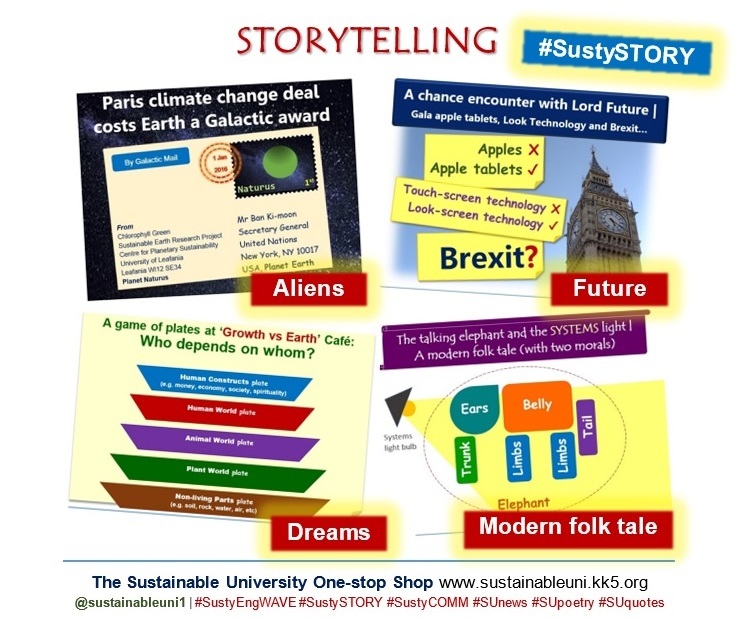 The Sustainable Lifestyles Research Group (SLRG) aims to develop understandings of the processes which lead to changes in people’s lifestyles, behaviours and practices and also to offer evidence-based advice to policy-makers about realistic strategies to encourage more sustainable lifestyles. 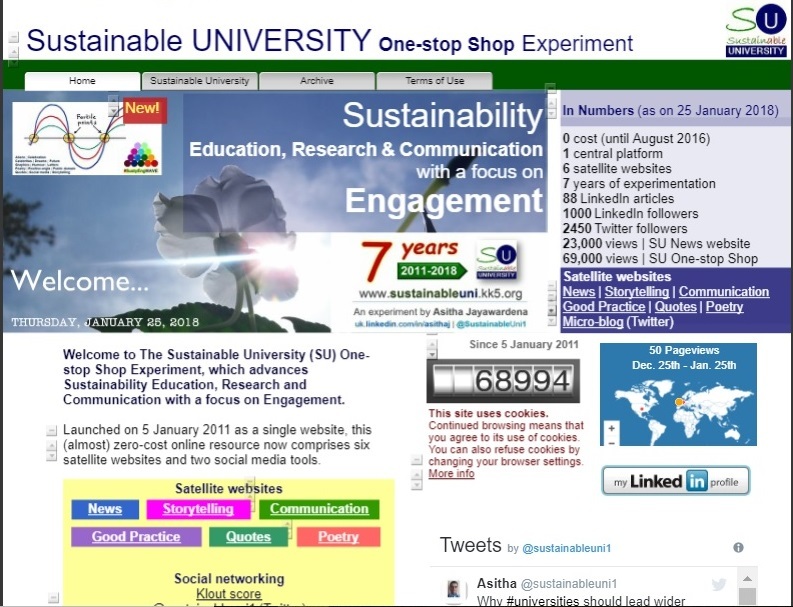 Moreover, it strives for building capacity for research in sustainable lifestyles amongst academics, young researchers, practitioners, and user communities. 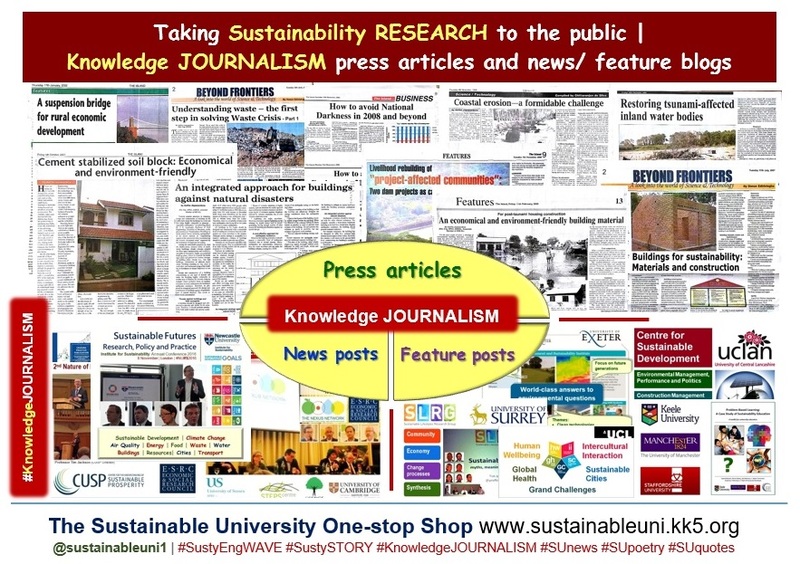 The SLRG research programme is coordinated from the University of Surrey (Centre for Environmental Strategy) under the direction of Professor Tim Jackson with Ian Christie as the Research Coordinator. 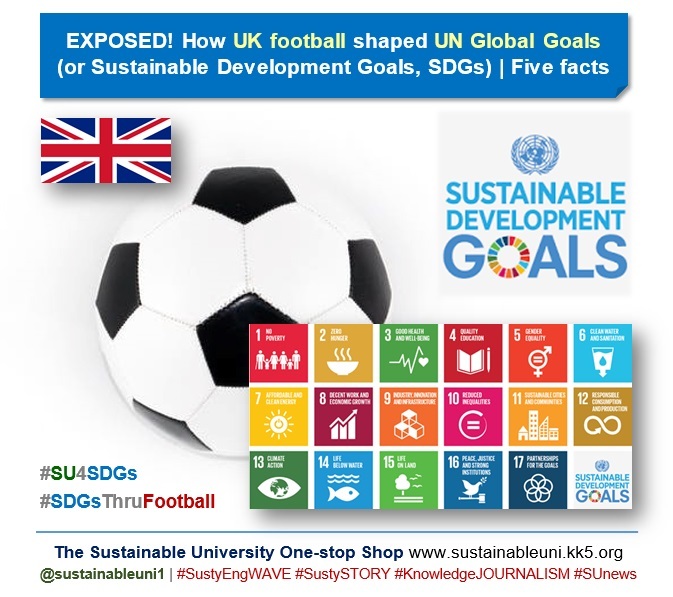 Its partners include the University of Bath, Edinburgh University, the University of Sussex, the Institute for Fiscal Studies and Brunel University and it also works closely with non-academic partners including Peterborough City Council, the RSA and the United Nations Environment Programme (UNEP). The group receives core funding from the Department for Environment, Food and Rural Affairs (Defra), the Economic and Social Research Council (ESRC) and the Scottish Government and additional funding for individual projects from the European Commission and the ESRC.